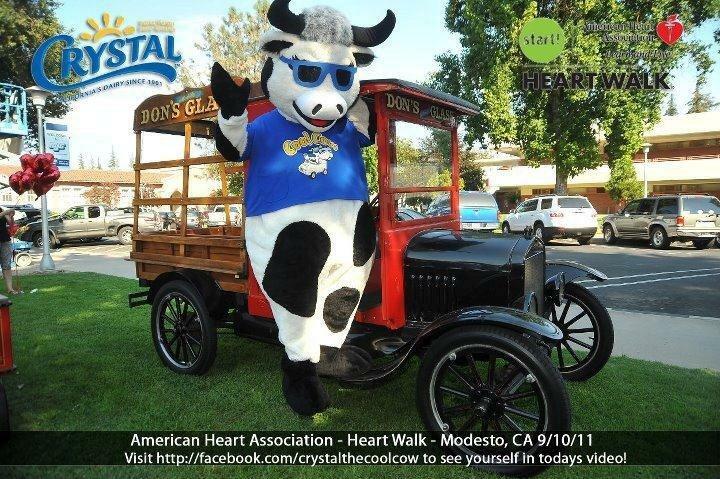 For the 4th consecutive year Don's Mobile Glass is participating in the American Heart Association's Stanislaus Heart Walk! For a cause that is so close to so many's hearts, Don's Mobile Glass is up to the challenge! We have contributed to this 5k to help bring awareness to the devastating effects of heart and lung disease. Not only do each of our individual stores help fund raise for the cause, but we also have over 30 employees and family show their enthusiasm on the day of the walk. Click here to check out some previous years team photos. 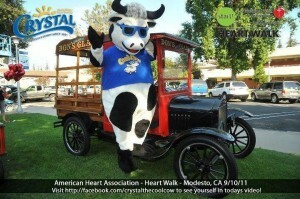 And of course we always have our Model T and Popcorn machine ready at the finish line for all of those hungry partakers. Check out the AHA's event website see what the great organization has in store for this years heart-walk. Want to donate? We can help you with that! Come down to any of our locations and a donation of just 1$ or more will get your name on a heart up on our wall! Stay tuned for further upcoming Don's events that are going to help us raise the cash to meet our $2000.00 goal! So put those ice buckets down, and your walking shoes on!! Lets go team DMG! !